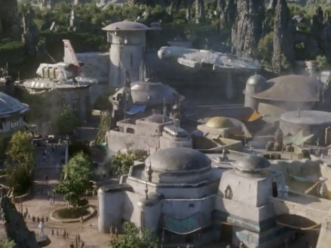 ANAHEIM, Calif. – Guests visiting the Disneyland Resort in 2019 will enjoy special moments and create unforgettable memories with their friends and family, including their experiences at Star Wars: Galaxy’s Edge, which opens in summer 2019 at Disneyland Park, and the reimagined land of Pixar Pier, at Disney California Adventure Park. Beloved nighttime spectaculars, immersive attractions and entertainment offer countless ways for guests to make the most of their vacations at the Happiest Place on Earth. 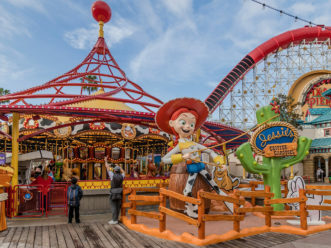 There are plenty of tips for guests as they plan to stay and play at Disneyland Park, Disney California Adventure Park, the three on-site hotels and Downtown Disney. Official Disneyland App – The official Disneyland App offers useful information right at a guest’s fingertips, including attraction wait times, Disney FastPass return times, maps, entertainment guides and other special features. Guests may also use the app to purchase tickets with their mobile device, look for character appearances in the park, find park hours and even order food and beverage at select fast casual and quick service restaurant locations. Details about the Disneyland app are available here. 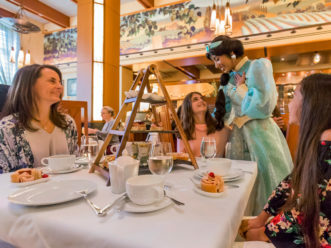 Dining Reservations – To make the most of vacation time, guests may make dining reservations in advance at the resort’s award-winning restaurants. 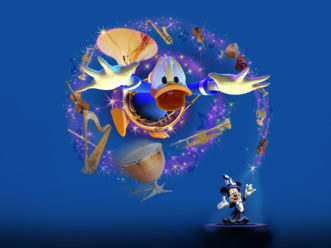 Special dining packages offer guests a full-course meal and reserved viewing for entertainment includng “Fantasmic!” at Disneyland. 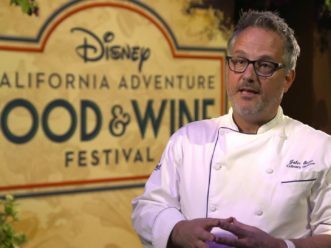 “For reservations, guests may call 714-781-DINE or email a date, time and contact information to dine@Disneyland.com. 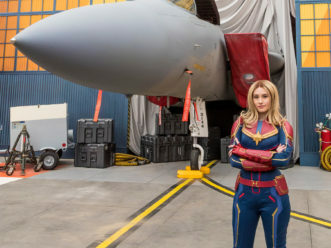 Guests may also book a table online at Disneyland.com. Stay in the Magic – Guests discover many special benefits when they stay at one of three Disneyland Resort hotels: the classic Disneyland Hotel and luxurious Disney’s Grand Californian Hotel & Spa – both AAA Four Diamond properties – and the sunny California beachfront-themed Disney’s Paradise Pier Hotel. Grand Hotel Experience –In December 2017, Disney’s Grand Californian Hotel & Spa completed the most extensive refurbishment since the hotel’s 2001 opening. Guest rooms have been completely redesigned with a fresh sense of luxury and the pool deck has been refreshed with beautiful, new hardscapes to reinforce the Arts and Crafts style. Guests staying at Disney’s Grand Californian Hotel & Spa enjoy an exclusive entrance to Disney California Adventure through the hotel. Nearby, guests also enjoy the Downtown Disney District, with its eclectic mix of entertainment, dining and shopping opportunities. The new, elevated experience continues to impress guests and the hotel was named one of the Top Hotels in Southern California in the 30th annual Condé Nast Traveler’s 2017 Readers’ Choice Awards. Disney FASTPASS Service – Disney FASTPASS allows guests to maximize their time in the park by reserving a specific time window to enjoy their favorite attractions. When guests return during that time, they enjoy a shorter line reserved for FASTPASS holders. Guests are encouraged to pick up Disney FASTPASS tickets early for favorite attractions such as Radiator Springs Racers. Disney MaxPass – Guests will maximize their day with the ability to reserve digital Disney FASTPASS selections right from your mobile device using the Disneyland app while in the parks. Plus, it offers the opportunity to download, save and share Disney PhotoPass photos captured during an entire day. Both services are included when purchased per ticket, per day. Disney MaxPass can also be purchased through the app. Play Disney Parks Mobile App – The new Play Disney Parks mobile app allows families and guests to interact with the theme parks, creating unique experiences and activities that bring surrounding environments to life. With group play that enables everyone to join in on the fun, guests can turn wait time into play time at select attraction queues, earn, collect and share uniquely themed digital achievements, test their knowledge of Disney trivia and listen to the music and sounds of Disney parks through curated Apple Music playlists. “A Walk in Walt’s Footsteps” Tour – Guests may follow in the footsteps of the man whose vision and creativity brought Disneyland park to life, Walt Disney. This 3 ½-hour guided tour covers the life of Walt Disney and stories behind the magic of Disneyland. To book this, or other tours offered by Disneyland Resort, call (714) 781-TOUR (8687). Portable Phone Charging Systems Kiosks – Guests recharge their batteries without missing any of the fun by using a convenient portable battery set that can be purchased from kiosk locations throughout the resort. When the portable battery runs out, guests may swap it for a fully charged replacement at any kiosk at no extra cost. Be Amazed by Projection Shows and Spectacular Fireworks – State-of-the-art projection shows and fireworks illuminate the sky above Disneyland park on select nights, choreographed to timeless music and with surprise appearances by some classic Disney characters. Viewing locations are throughout Disneyland and top spots include: along Main Street, U.S.A., in front of “it’s a small world” in Fantasyland and along the Rivers of America in Frontierland. 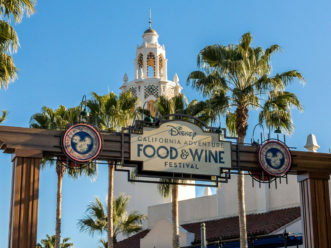 Healthful Dining Options – While special treats are part of the Disney fun, families can also choose nutritious snacks such as nuts, trail mix and fresh fruit from outdoor carts. Kids meals come with fruit or vegetables on the side, along with juice, water or low-fat milk. Fries and soda are available upon request, at no additional cost. Look for the Disney Check symbol on menus, indicating the best nutritional choices for children. Additionally, for lifestyle dining options, or for requests from guests with food allergies or intolerances, there are a wide range of choices, from kosher to gluten-friendly and sugar-free.